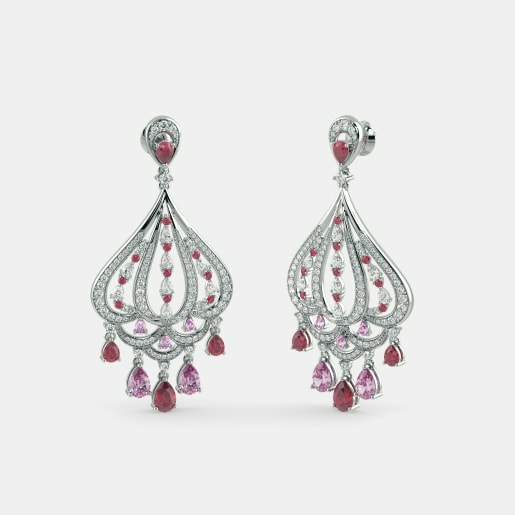 There is something truly enticing about dressing up with tourmaline earrings. 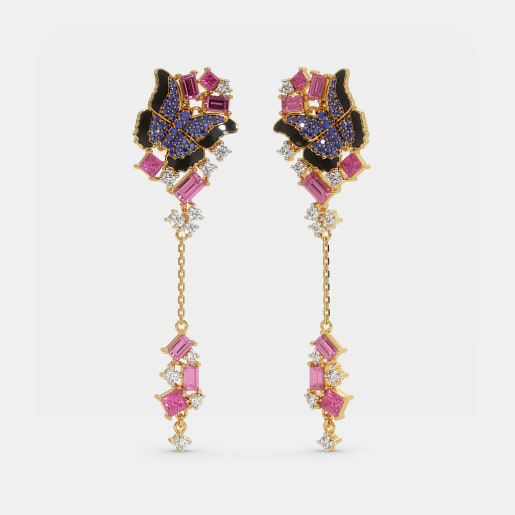 Let yourself flow with the electric dazzle of the tourmaline earrings and who knows to what dreamland this potpourri of exquisite colours will lead you to? That apart they make the most vigorous and animated style statement. 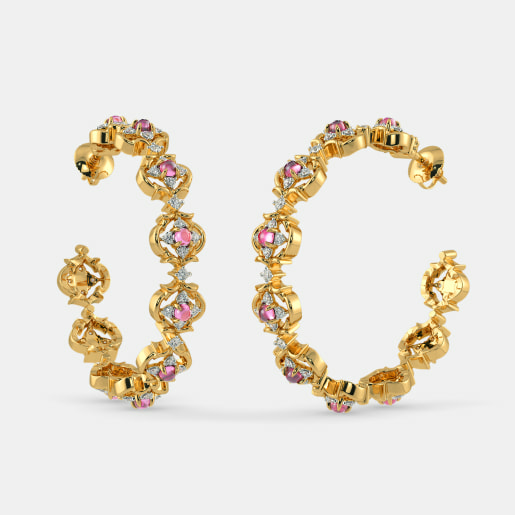 This is to say that the tourmalines have an incredible flair of ending up in the most high-end jewellery collections. 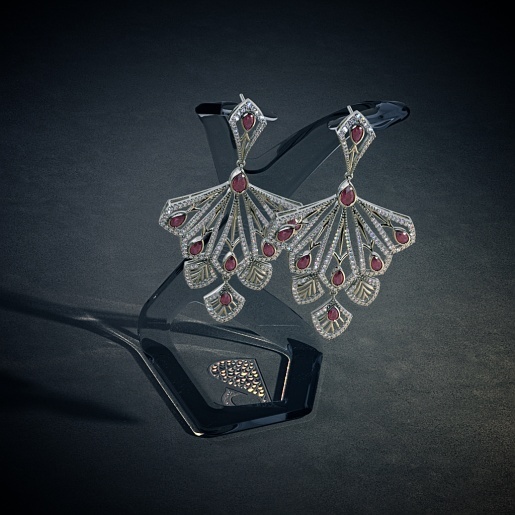 So are you all set to ride your way to the stars and back in the allure of these fascinating gemstones? 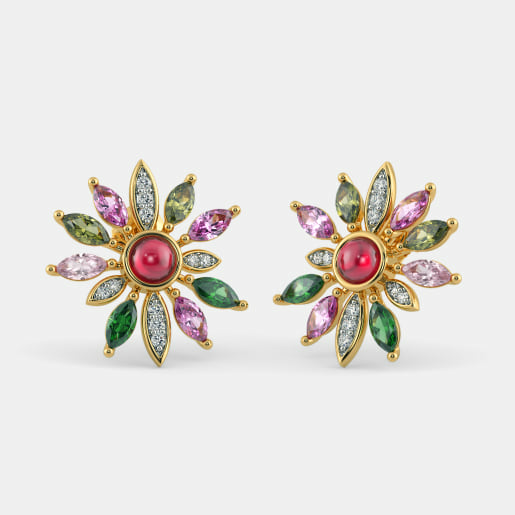 But before we get down to make space for these picturesque stones in our wardrobe, let us take a sneak-peak into some of the interesting facts and legends surrounding this gemstone which we dare say are just as colourful and wonderful as the gem itself. It is said that if there was ever a path to the stars, it would be paved by tourmaline gemstones. 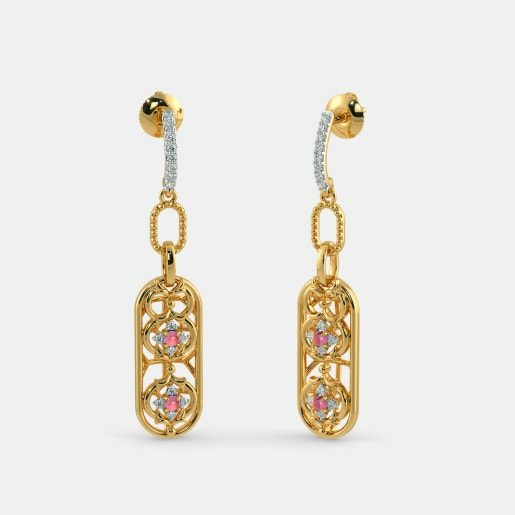 It is difficult not to weave fairy tales around the prismatic dazzle of the stone. 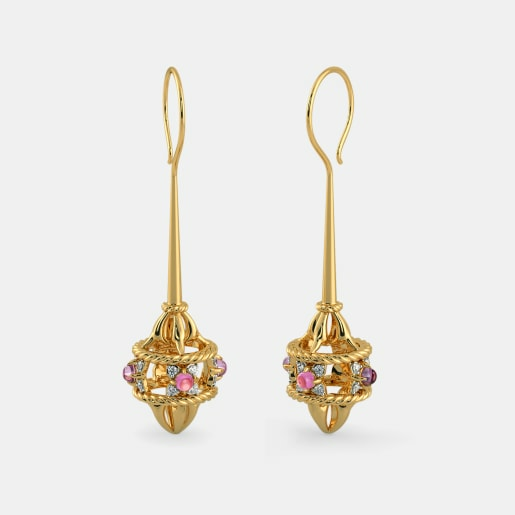 In fact, according to an Egyptian legend, the tourmaline is believed to pass over a vivid rainbow on its way to the Earth. 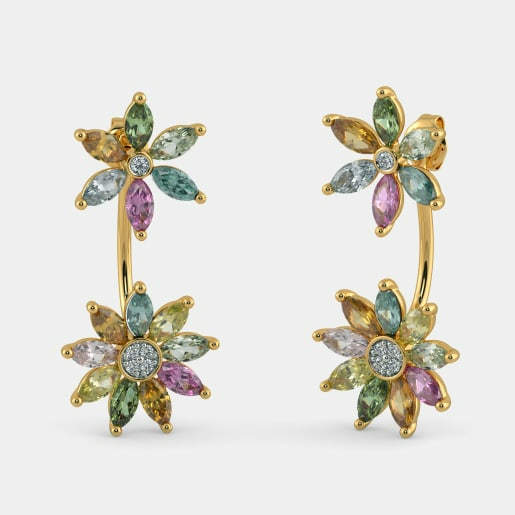 Even today, to do justice to its myriad shades, the tourmaline stone is also called as the gemstone of the rainbow. 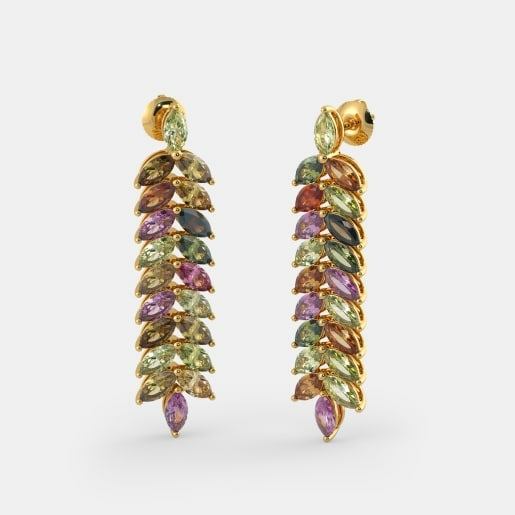 The word tourmaline derives from the Sinhalese term tura mali which literally means mixed colours. The name is actually a symbolism to pay homage to the magnificent spectrum of colours exhibited by these stones. They come in vivid yellow, bright emerald, pastel peach, sky blue, blood red, soft pink and just about every shade in between. 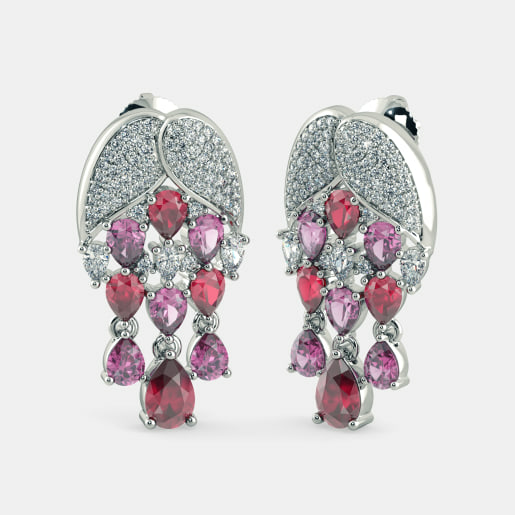 Tourmaline got its miscellany of hues from aluminium boron silicate crystals. The stone is essentially made of many aluminium boron silicate crystals and since no two crystals that are used in the composition are the same or identical, the stone got its endless telltale shades. And such is the precious secret buried in the heart of these beautiful stones. 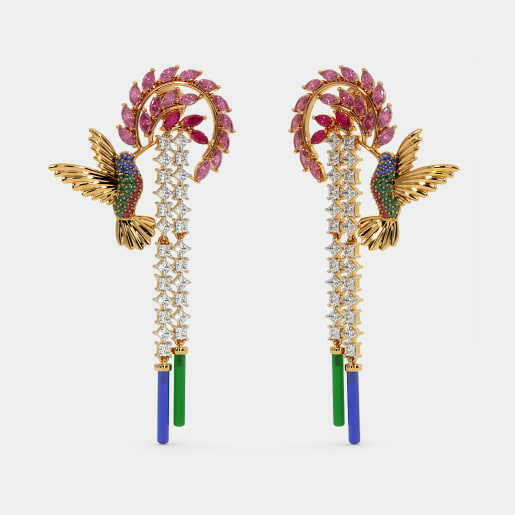 We are amongst the pioneering jewellery makers in India and are termed as the most trustworthy ones by our happy clients. What’s more is now with BlueStone you can get a free home try-on in three simple and easy steps. Just select a jewellery of your choice, choose a time that’s convenient for you, and request us to bring you your jewellery at your doorstep. 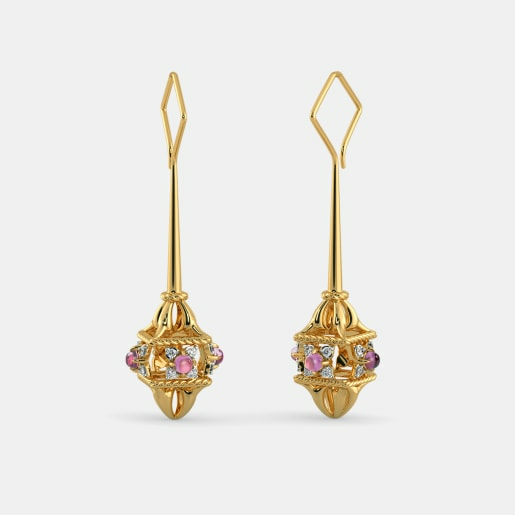 There you can experience the sheer enigma of our tourmaline earrings without any obligation of purchase. 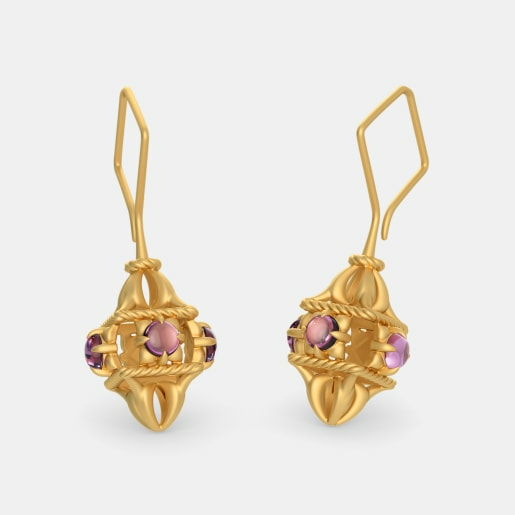 Visit our online store where you can buy tourmaline earring designs without any glitch. 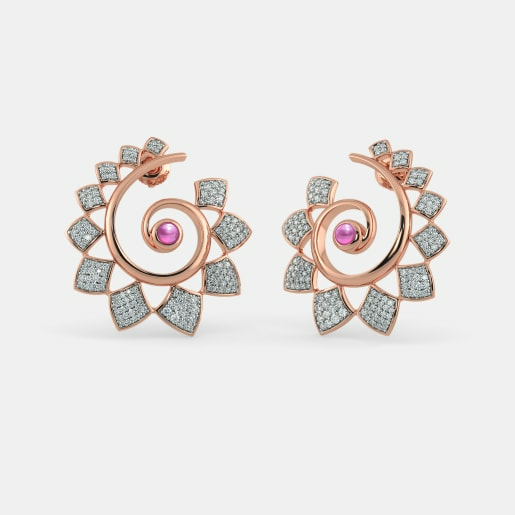 At BlueStone, we design earrings that make more than exquisite jewellery. They go on to make exquisite memories. 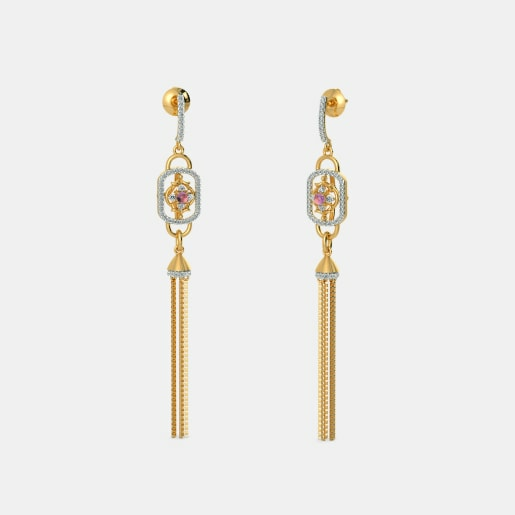 Take the Sweet Memory Earrings for example. 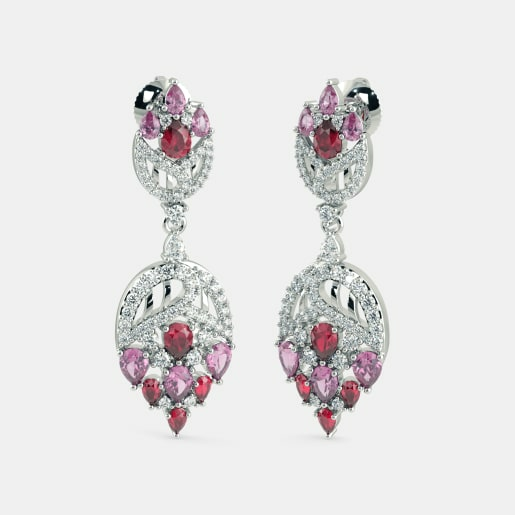 These 18kt white gold pieces are tastefully studded with white pearl and pink tourmaline. 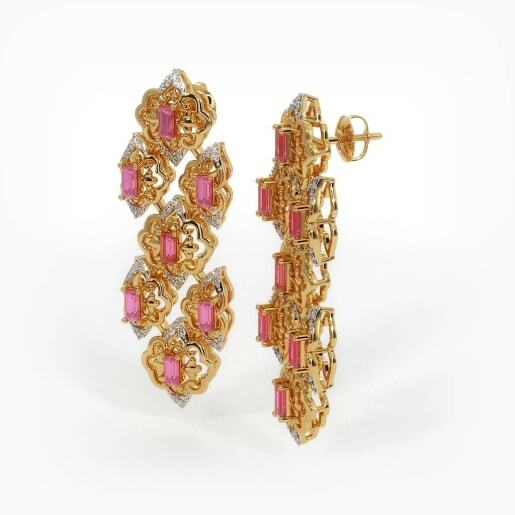 There is something undeniably classy about the Farnell Earrings. 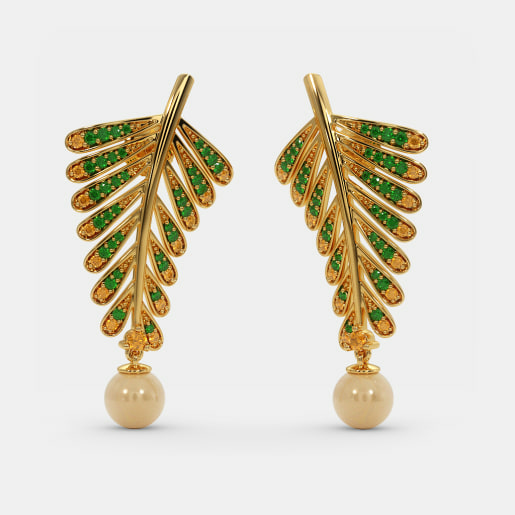 Made of 18kt gold, this pair of earring has an immense green tourmaline occupying its heart. 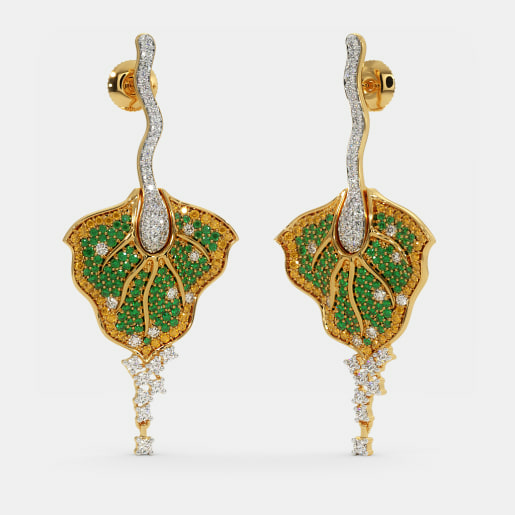 It is blissfully adorned with an array of diamonds that run around the edges, like a galaxy of glittering stars. 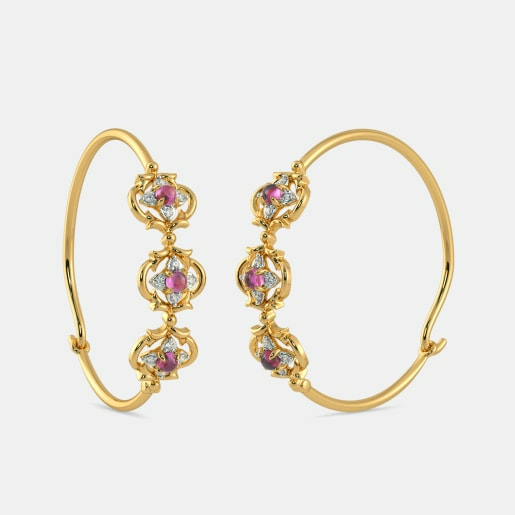 For a more vivid, gorgeous look try out the Jannae Hoop Earrings, the Jadyn Hoop Earrings or the Gypsy Stud Earrings. 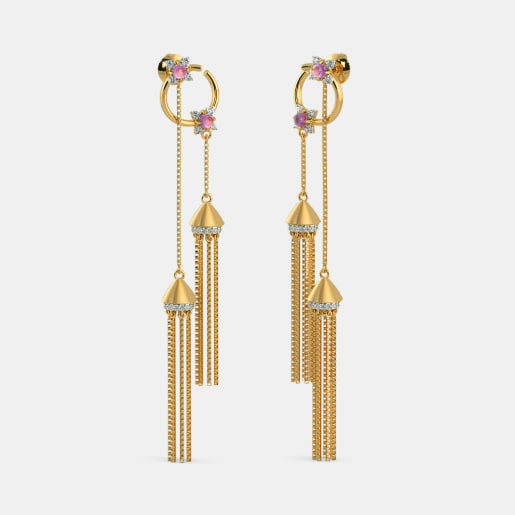 Made of diamond, ruby and multi-coloured tourmaline, the Gypsy Studs are a class apart as it truly complements your regal and resplendent taste in jewellery. We have a growing collection in store for you. 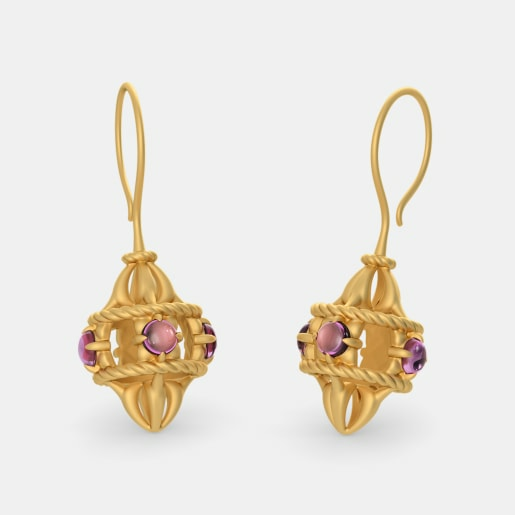 You can compare the prices of the pieces and we are confident that you will find our tourmaline earring prices as reasonable as it can get. 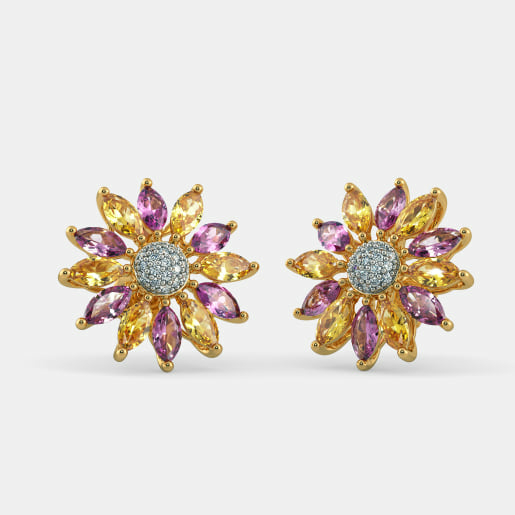 With Valentine’s Day just around the corner, give a vibrant gift to your precious sweetheart. Surprise gifting has never been this easy. Choose pieces with our next day delivery services and we will make sure that the gift arrives on time. So what are you waiting for? 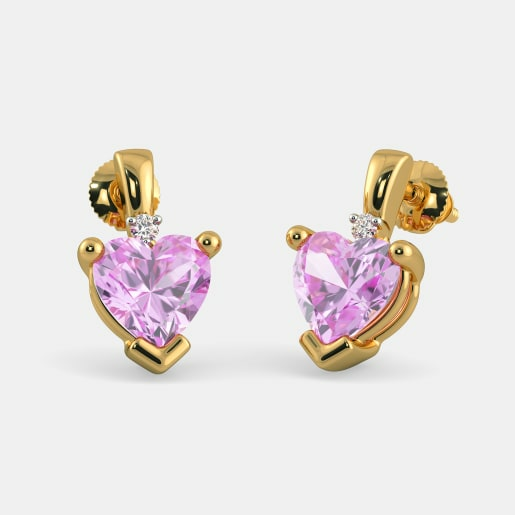 Spread the love with our exquisitely crafted tourmaline earring designs.